Marketing Communications, Brand Building & more. In the marketing world today, brands are fighting for the consumers’ attention so much so that every couple years new platforms are launched in an attempt to catch the most number of eyeballs. As more ads pop up both online and offline, it is evidently getting harder for brands to leave a lasting impression on their target audience. Consumers are smarter now though – skipping through ads giving them little to no attention. And this is the reason why the future of marketing may just be sensory marketing, a marketing technique that involves subconscious influence over customers’ senses. What better way to market products and services when the consumer is oblivious to this new marketing tactic? One of the first experts to identify the strength of sensory marketing is Dr. Aradhna Krishna, a behavioral scientist at the University of Michigan. She defines it as “marketing that engages the consumers’ senses and affects their perception, judgment and behavior”. Jennifer Johnson, senior vice president at Bioscience Communications, calls sensory marketing ‘a powerful communication vehicle that allows you to feel’. Let’s take a look at where it all began. In early 2000s, innovative companies, such as hospitality giant Marriott International, started experimenting with sensory marketing. Marriott invested in the diffusion of carefully chosen scents to stimulate positive memories, reduce stress and relax customers. Studies have shown that the right fragrance has been able to make guests feel more comfortable at hotels. According to Forrester Research, customer experience programs are as responsive to emotional experiences as they are to functional experiences. In other words, marketers have an opportunity to invest in sensory aspects of the customer experience. Not only will this help them build loyalty among customers, it will push them to overcome similarities in business such as products, prices, and services. While sensory marketing provides a more holistic brand experience, Pam Scholder Ellen, a marketing professor at Georgia State University points out that in the case of scent marketing the ‘brain responds before you think’. Since smell generates 75% of emotions, this powerful quality combined with not having to bypass a logical brain makes scent a strong tool in terms of marketing (Scent of a Brand, Davis). Reaffirming this, JW Marriott’s Vice President – global brand leader, Mitzi Gaskins, stated that ‘scent is just as important as music, lighting, and botanical elements in creating the right mood’. Surprising to some, another finding claims that scent marketing doesn’t suit all customers. 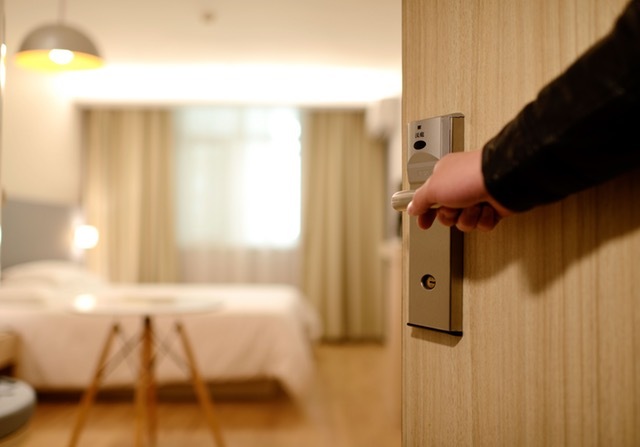 Some guests are skeptical and often believe that strong odours in hotels are probably diffused to conceal a less pleasant odour. Additionally, in scent marketing, only a limited number of people can participate in a physical location (Marriott Hotels brings consumers on virtual-reality expedition, Precourt). While the primary aim for sensory marketing is to express the values of the company to help establish a brand image, scent marketing is evidently a long-term strategy as compared to short-term strategies that dominate visual mediums such as Virtual Reality. VR offers a complete immersive experience which would not be possible in the real world. A perfect example is that of Virtual Reality integrated in Marriott’s marketing strategy in 2014 with the launch of Teleporter booths. The targeted customers were newlyweds who were given options to travel to exotic honeymoon destinations through ‘the Teleporter’. Fitted with Oculus Rift headsets, they were ‘teleported’ to Hawaii and London. This innovative 4-D technology heightened customers’ sensory experiences by splashing water on their skin, blowing wind through their hair and making them feel the warm sun rays. As Marriott’s global marketing officer, Karin Timpone, points out “V.R. helped us tell a story and inspired people to travel”. By blending VR with the firm’s marketing strategy, it is possible to invite people from all over the globe. This redefines the relationship with the firm’s most important stakeholder – its customers. On the other hand, the current high cost of VR equipment and production cannot be ignored. However, this seems to be minor blimp on the radar as VR is expected to be a part of the average home-entertainment packages in the near future. Linnaeus University’s Professor Bertil Hultén gives a deeper understanding of these two distinct sensory marketing strategies in his research paper on ‘Sensory Marketing: the Multi-Sensory-Brand Experience Concept’. Hultén’s multi-sensory brand-experience hypothesis focuses on the neglected customer experience and how its influenced by the five human senses. Lasting brands are created by developing a strong emotional connection with the consumer since it’s been proven that in addition to products and services, customers also buy emotional experiences. Built on several primary and secondary information sources, Hultén’s study describes how a customer creates an image in his mind after interactions with the brand service or product, thus creating an experience. Comparing scent marketing strategy and VR-integrated strategy, one can note that while smell is vital, when paired with another sense, the overall effect can be enhanced. VR has proven to be a multisensory opportunity for brands to engage with its customers, differentiate themselves from their competitors and build loyalty (Marketing to the senses: Opportunities in multisensory marketing, Pathak & Calvert). A well-developed multi-sensory marketing strategy will help companies differentiate their brand’s identity from competitors and create successful customer relationships. This analytic case study was first put together as a part of my coursework for master of marketing communications at the University of Melbourne. Digital Transformation in India: Better late than never? In 2012, I was studying Mandarin in a part of Beijing known as a student’s hub – Haidian district is home to over 15 significant universities including Baidu headquarters. When you’re living in China, it’s hard to miss how the fashion sense of the locals grows on foreigners. The Chinese like to express their individuality through their appearance. And what better reason to shop when the clothes are cheap and there is too much variety? I vividly remember thinking to myself about their obsessive shopping from Alibaba-owned TaoBao – a shopping haven similar to Amazon and eBay. Even on a freezing snowy morning on my way to class, I would pass minivans dropping off ‘packages’ right outside the university, creating obvious heaps of brown cartons. In China, online purchases generated approximately $121 billion in sales in early 2011 and about 80% of all transactions were done on TaoBao. Were people in India ready to rely on online platforms to shop? Was a China like digital transformation possible in India? Even though there were companies that established similar platforms in India as early as 2012, I can hardly recount a friend or relative shopping online. But there’s always a first time for everything, right? Cut to today, everything from my shoes, clothes, electronics, even my next doctor’s appointment is booked online. But are we really there yet? Here’s a fact that’ll tell you exactly how far we are – Out of 20 top Internet companies in the world 5 are Chinese, one each Japanese and English while the rest are American. Even though India ranks third globally in terms of the number of startups, why can’t we find ourselves in this list? Two major factors contribute to this – digital access and digital capability. Even though there’s not much of a difference when comparing the number of people in the 2 countries, at the end of 2014 India had approximately one-third of the total number of internet users in China. The government has finally expressed the desire to promote the Indian startup ecosystem and we have a long way to go before the Internet reaches Tier II and Tier III cities. Clearly, digital transformation is still in-the-process of arriving in our country. Coming to the digital capability gap, a staggering 25% of the Indian population cannot read and write compared to China’s 5%. Taking this into account, it’s safe to say that making Internet accessible for all Indians is more a need than want. Digital transformation is the development and implementation of strategies that help captivate and engage digital customers. Say I move to a new city and plan my housewarming party, I hire a party planner. After the party, I look for a plumber. To find all these, I go online and search for the nearest service expert available and I come across Urbanclap, a platform that allows a person to find the best service professionals. Here’s another example, I want to consult a doctor, but I want to be sure of his capabilities and expertise so that I know I’m going to the right one. What’s my first step? I Google search him. I will probably come across hospitals where he works, his LinkedIn profile or better yet his own website. The previous generation was alien to the whole idea of going online to find the right people. While they relied on services they found via word-of-mouth, things have taken a digital bend today. We don’t need to talk anymore. All we need to do is ‘search’ online. And we open a world of patient reviews, years of experience, work locations, accomplishments and so on. Pure convenience on your fingertips. According to reports and statistics gathered over the years, digital transformation not only helps improve customer engagement but the sort of one-on-one experience that digital channels offer lead to a high percentage of customer satisfaction. Big companies, like Myntra and Paytm or startups like Innerchef and Fassos make sure they respond almost immediately to customer concerns with packaging, delivery or even service quality. Direct customer relations with the company not only help resolve issues fast but provide instant organic feedback from hundreds, thousands or even millions of customers. Did you know that most companies do not have preconceived blueprint and execution protocol for content strategy? To engage customers, companies require fresh content on traditional and social channels. And to achieve the utmost level of customer satisfaction, the focal point doesn’t just fall on customer experience but additional rich sources of expertise from company culture bred employees and leaders, who create quality content that acts as a catalyst in building the company voice and brand. Since this transformation is still in-process, we face an obvious roadblock when it comes to old-school company campaign strategies. To engage a customer, companies now need to allocate budget keeping in mind digital marketing besides offline marketing. The creation of an event is not just about location, sponsors and footprint but also about social media presence, Google Ads and online content. Turns out Paid Social is an integral part of digital transformation as it helps reach target audiences and build brands by retaining ads on social media giants. Overcoming these limitations and evolving with new-age digital strategies will help companies build a brand, create engagement among their customers and deliver smoothly. Much like Huawei who recently announced innovative solutions for 4.5G, Internet of Things (IoT), 2K/4K video and Safe City. Question is – in a country where less than 2 companies out of 5 have taken their business online, how far is the digital transformation dream? Originally published on BWdisrupt Businessworld. Author Prachi TyagiPosted on February 24, 2016 November 24, 2018 Categories Social Media, StartupsTags Futuristics, Social MediaLeave a comment on Digital Transformation in India: Better late than never? It was a huge deal. First time in India, the Prime Minister took the initiative to announce new and exclusive exemptions for India’s growing startup ecosystem. And why shouldn’t he? According to NASSCOM’s report, India stands at a whopping third place when it comes to the highest number of startups in the world. After the his stint in Silicon Valley, PM Modi grew even fonder of the idea of an independent India building strong, smart entrepreneurs. Love his governance or hate it, this is the sort of vision India needed in its Prime Minister. The power pact day, 16th January, entailed 1500 eminent speakers, entrepreneurs, startups and government officials present at the event – by invite only. The day started off by addressing basic yet vital points – Why focus on the Indian startup system? How can we nurture innovation in India? Followed by sessions in-conversation with the policy makers of the country, women entrepreneurs making their mark in the industry and eventually the announcement of the big action plan. Felt like déjà vu when Modi ,yet again, emphasized on Setting up of a ₹10,000 crore fund for startups. 2 years ago, the finance minister announced the launch of India Aspiration Fund (IAF) but the financial plan is yet to be shared with the public. Other points announced included – Lower government interference in business, a credit guarantee fund for startups and a Startup India Hub – a platform where investors and startups could meet. While a startup India hub sounds exciting enough, my favourite announcement were the Tax exemption for 3 years and capital gains. But then I realized, not many startups would generate taxable income in the first three years! I still feel like the PM got a bit too ambitious when he mentioned the launch of a mobile app and website that would enable single point of registration for startups – all in a day. The same would be used for clearances, approvals and registrations. I’m all for this, but a government app that can smoothly perform these function would be a boon and almost sounds too good to be true, especially for startups that are just starting off. What can the Startup Action Plan do for India in the coming decades? More startups mean more solved pain-points of the common man. More consumer based companies mean happier customers. This might just be the formula to a more content India. India’s increasing internet penetration is proof enough that startups are here to stay. The PM’s Action Plan is the perfect catalyst to shaping his Digital India, our Digital India. An upper-class married woman in her early 30s’, Mrs. Kapoor (name changed) was surprised and slightly taken aback when she received a friend request from her help, Krishna. The story doesn’t end here. Since Mrs. Kapoor lives in a joint family, Krishna regularly uses Facebook messenger to ask everyone what they’ll have for breakfast from the comfort of his kitchen. If this sounds alien to you, you will be shocked to know that according to Internet and Mobile Association of India (IAMAI), the usage of social media in urban India has grown by 35%, (about 118 million users), while it has grown a whopping 100% in rural India (reaching over 25 million people) in one year. To further break it down, 96% of the masses are on Facebook, shortly followed by other social media giants like Google+, Twitter and LinkedIn. We shop, we check our bank accounts, and we also check to see if the rash bothering us isn’t deadly – all online. HealthWorksCollectives, the world’s best thinkers in healthcare, have some numbers for you. Out of 4 and a half hours that an average internet user spends each day online, about 3 hours of his time is spent on social media. Imagine the amount of content consumption! It’s not surprising that the healthcare industry has begun working its way into social media. To add to this, sources claim that about 40% of consumers believe the health information they found on social media. Healthcare in social media is here to stay for more reasons than one: Medical professionals are interacting via social media to spread awareness on diseases, preventive methods, among other topics while patients are using this platform to share doubts, questions and receive health information. On a larger scale, public health agencies are using social media tools to schedule important campaigns and announcements. Facebook – who doesn’t use it? Once upon a time, this was a thing for youngsters. Facebook’s demographics are getting old, further giving accessibility to all age groups to health campaigns that are shared by hospitals and healthcare providers to create engagement and awareness. Credihealth, a healthcare startup, is one such example making a point to cover all health days and health awareness months, catering to both national and international audiences. Their most recent campaign was on World No Tobacco Day that used smart creatives to discourage youngsters from smoking. Doctors, Hospitals and patients (or better yet twitteratis) are using this simple yet fast sharing platform to connect with like-minded people. Craig Hashi, who heads healthcare at Twitter revealed some intriguing statistics when he shared that 44 million cancer related tweets were sent out in the past year, even more so during Breast Cancer Awareness month. “Pharma companies are the ‘slowest of the slow’ when it comes to changing their marketing strategy because they are so heavily regulated, but some are catching on to the trend of online video – Hashi said, giving examples of Novartis and AstraZeneca that have increased their presence on social media in the last 18 months. There are new apps in the market like Periscope and Meerkat that allow people to stream live video through their Twitter accounts – this could be something that could change the direction of the market in the near future. In what sense? Well, for starters, any entity from the healthcare industry could advertise interesting content from a conference anywhere around the world in real time. Social media on mobile phones is convenient, fast and influencing how people consume information resulting in a trend itself. What’s trend-ier than sharing pictures of food, cats and clouds? Instagram and Pinterest are the fastest growing social networks, no doubt. The healthcare industry players are sharing behind the scene snaps to establish a more personal touch with people. This also includes sharing patient journeys, promoting fundraising events and even medical techniques and procedures. While not everyone in healthcare is fully convinced to use Instagram, it’s hard to ignore 300 million monthly active users. The future is expected to see healthcare companies integrating social media information to make customer interaction better and public health organization to reach out to the public quicker about important issues like vaccinations, new policies, diseases outbreaks and more. This will bring a sense of crisis readiness which means social media will act as an agent in informing doctors and hospitals almost instantly when a devastating event occurs endangering the lives of people. After all, isn’t making lives better the whole point behind creating a technology that connects us? Previously published as a guest post on iamWire. 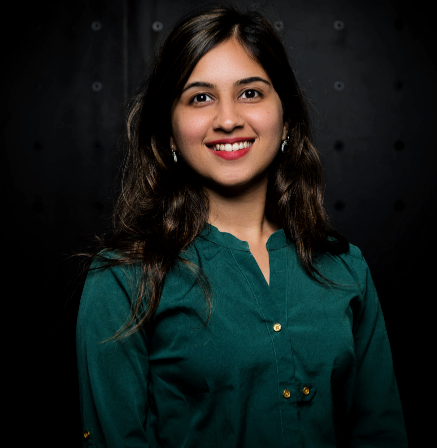 An alumnus of University of Melbourne, Prachi is a marketing buff who loves to write about the evolution of communication between brands and consumers, innovative content strategies and how new media is helping people connect. Corporate Social Responsibility: A Successful Key Public Relations Function?